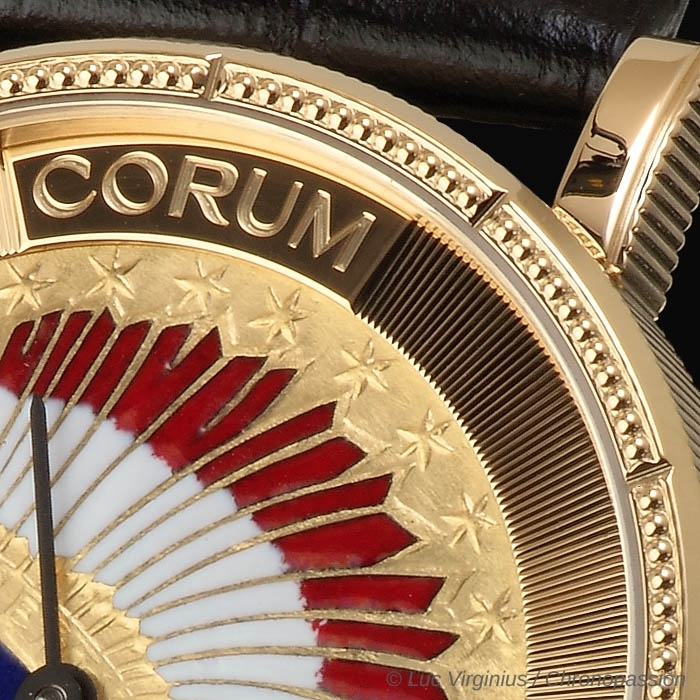 Corum | 32'900 € Tax inc. 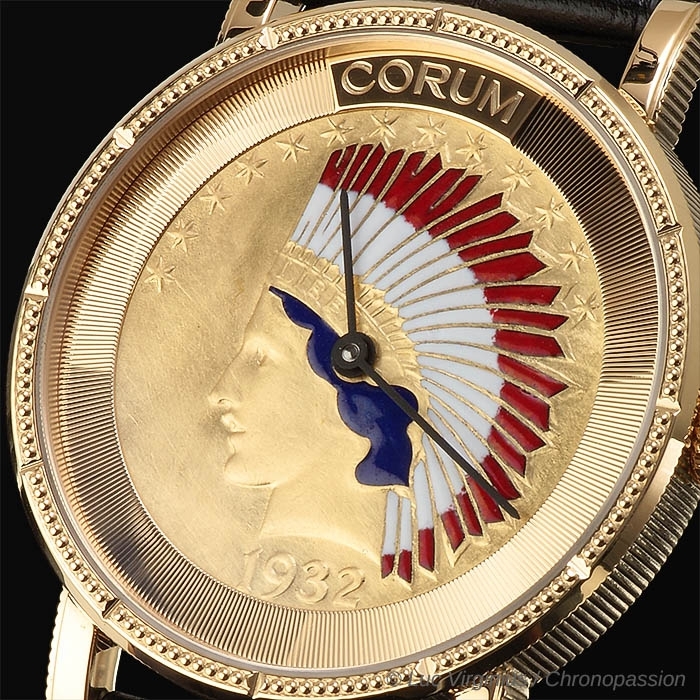 Since the 1960s, Corum has delighted collectors of rare coins by setting a magnificent stage for them inside watches. 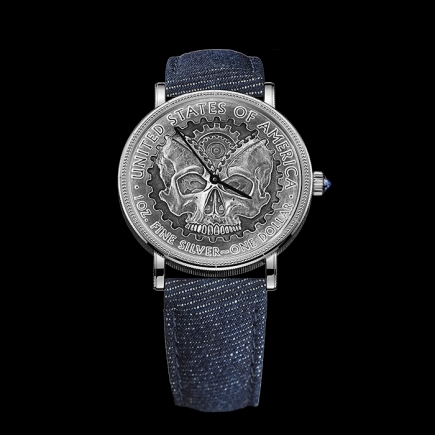 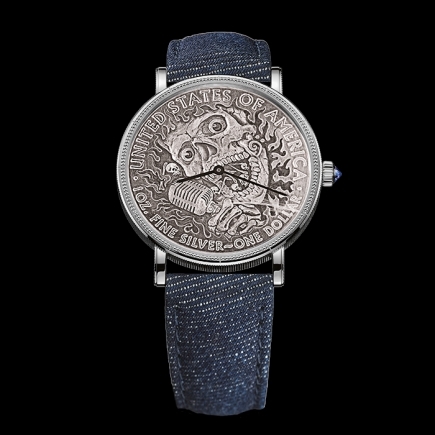 In keeping with this longstanding tradition, the firm based in La Chaux-de- Fonds presents a new creation featuring an over century-old 10-dollar coin as a dial: the Heritage Coin Watch! 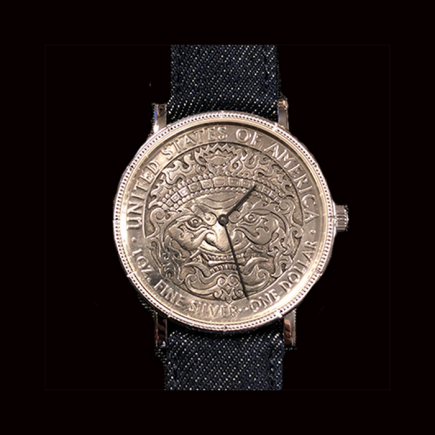 At the dawn of the 20th century, the United States put into circulation a limited number of gold coins bearing the effigy of an Indian chief, offering a journey back to the roots of the nation. 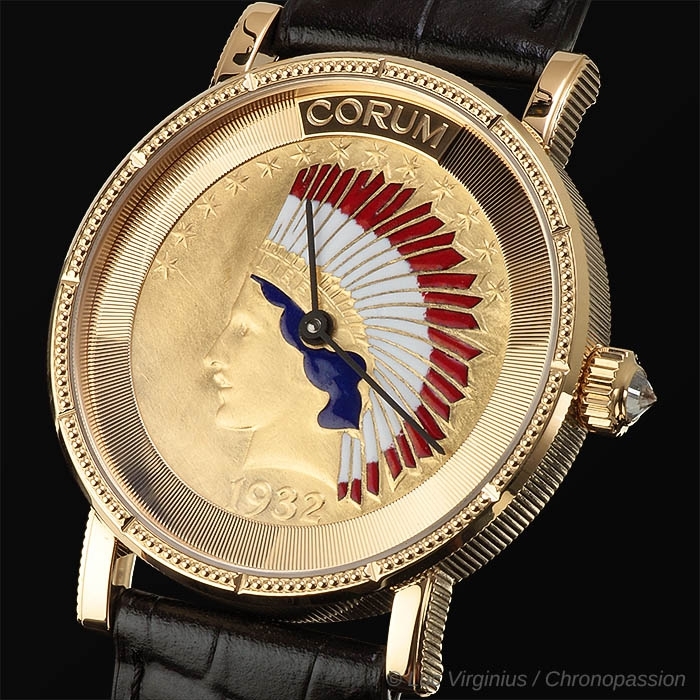 In 1986, Corum transformed a handful of these coins into timepieces radiating a fascinating aura. 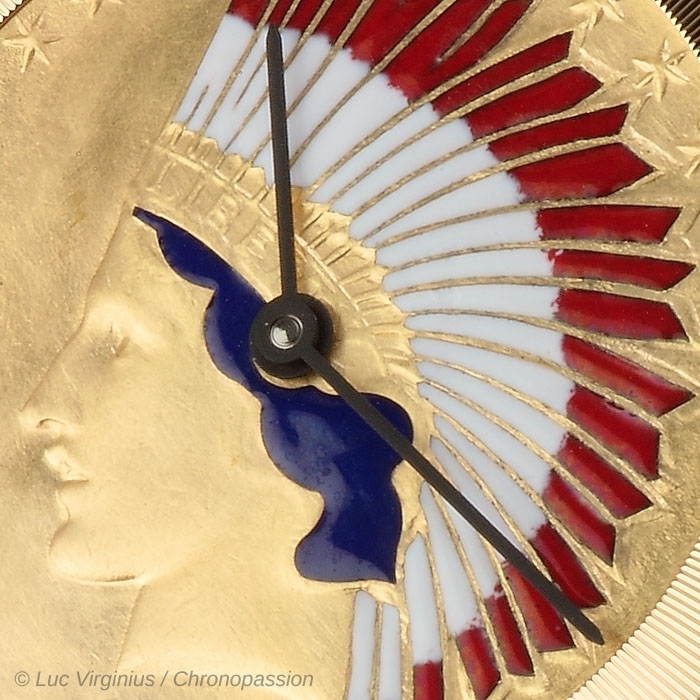 The brand from La Chaux-de-Fonds is now introducing another series of these testimonies to American history. 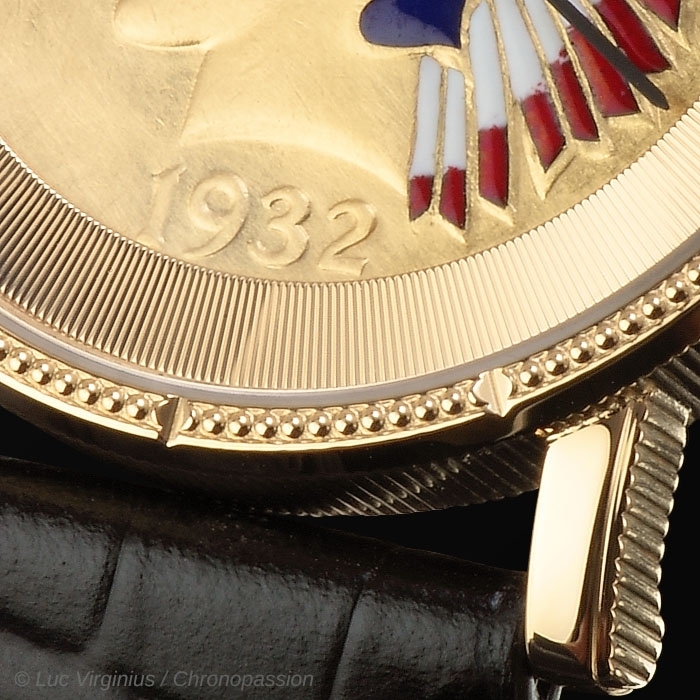 In keeping with its original technique, it has split these 22K 5N yellow gold coins in half, with one part forming a dial and the other the back of the Heritage Coin Watch. 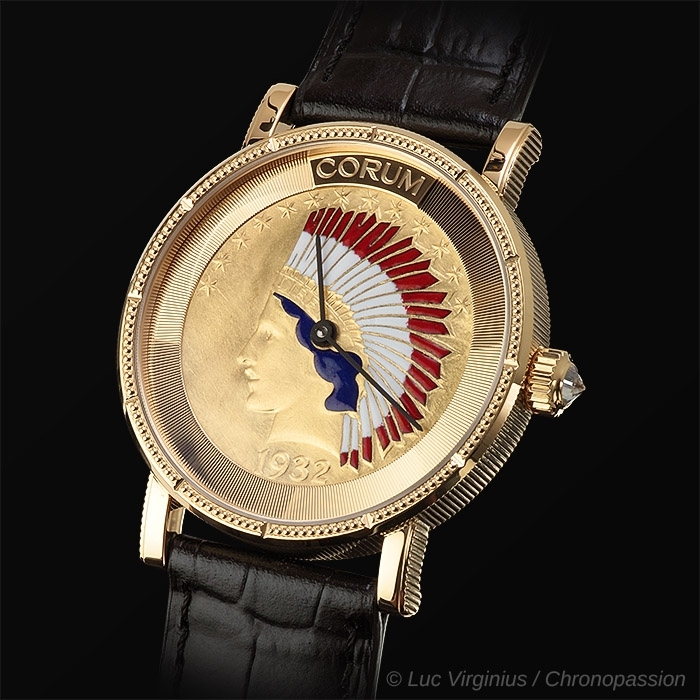 On the front, the splendor of the eagle feathers forming the headdress of the valiant Indian is accentuated by traditional enameling. 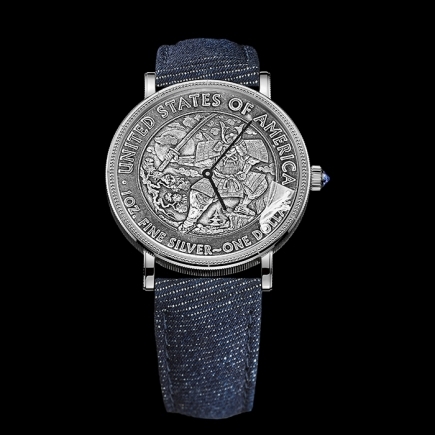 Successively fired at temperatures of more than 700°C, the blue, white and red colors were gradually revealed in this vibrant tribute to the star-spangled banner. 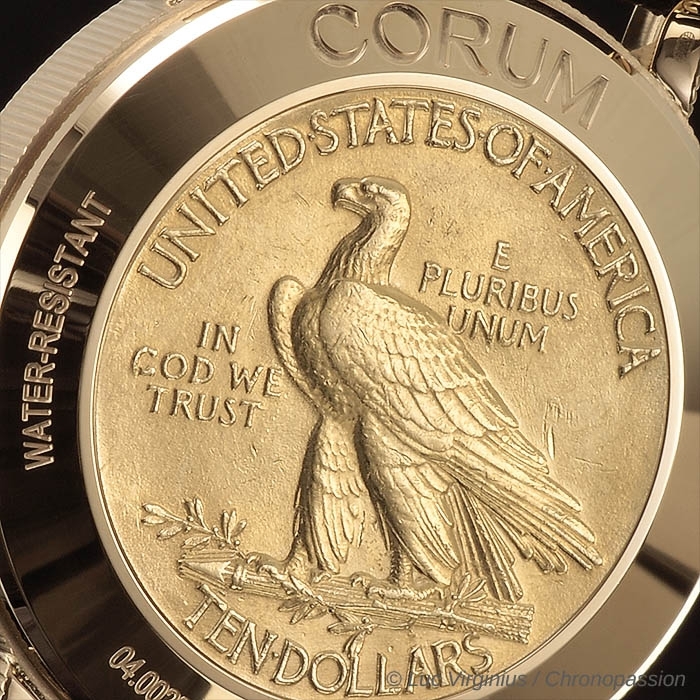 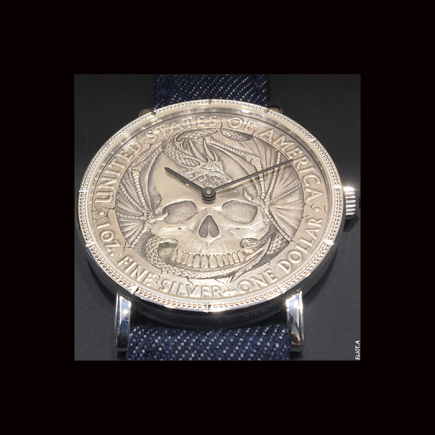 On the back, the original engravings on the coin celebrate another quintessential American symbol: the majestic bald eagle found on the Great Seal of the United States of America. 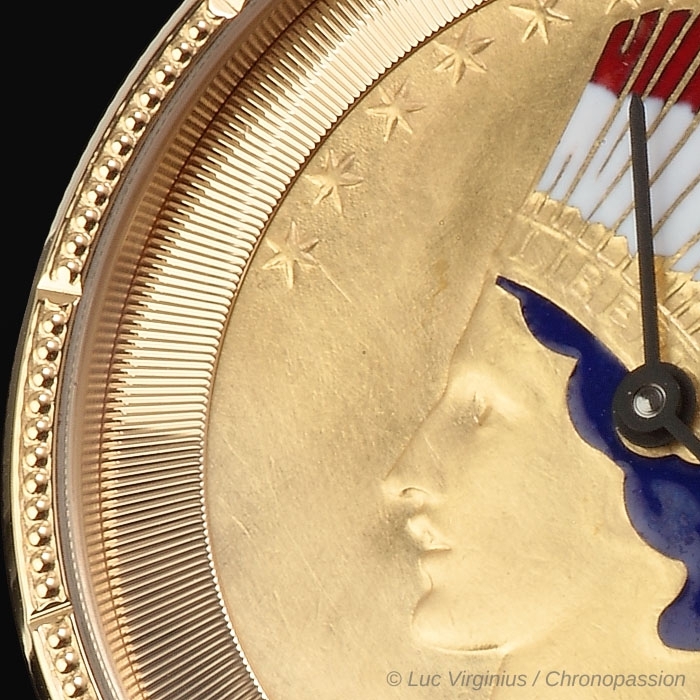 This rare and precious coin is magnificently framed by an 18kt 3N yellow gold mechanical movement. 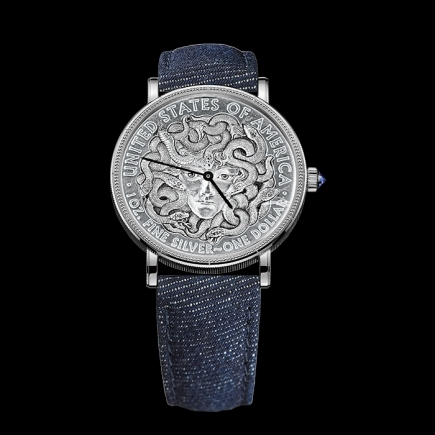 As if to prolong the original engraving on the inner bezel ring, its case middle forms a slender fluted motif recalling the distinctive crown adorned with an approx. 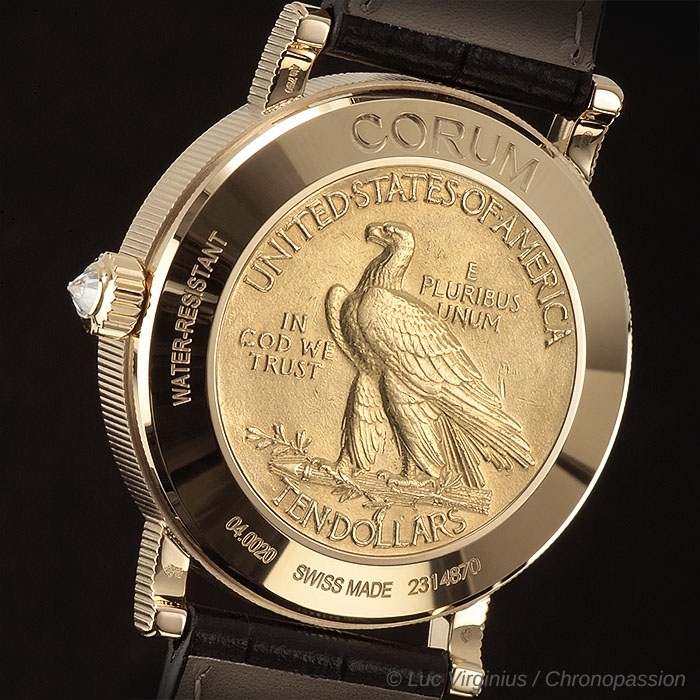 0.17-carat white diamond, the iconic signature of Corum coin watches. 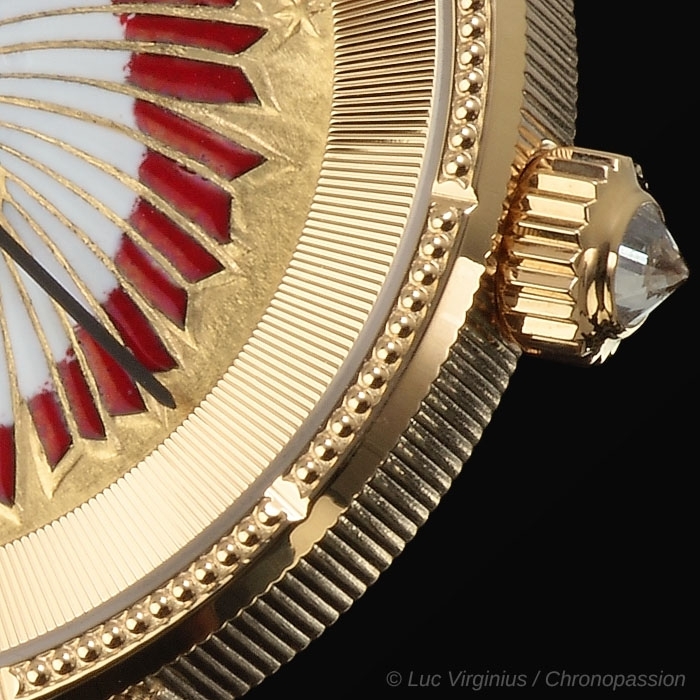 Although hidden by the 22kt 3N yellow gold case-back, the mechanical movement beating at the heart of this elegant timepiece ensures remarkable precision with its 28,800 vibrations per hour and its 42- hour power reserve. 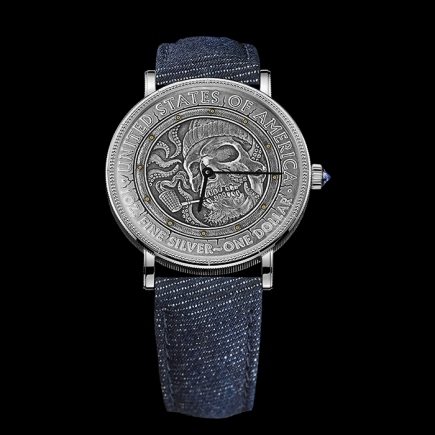 Lending the ultimate touch of nobility to this Heritage Coin Watch, the black crocodile leather strap is fitted with an 18K 3N yellow gold pin buckle.